Okabe Rintarou: You can cry for yourself. Episode 22 of Steins;Gate was even grayer and de-saturated than usual. 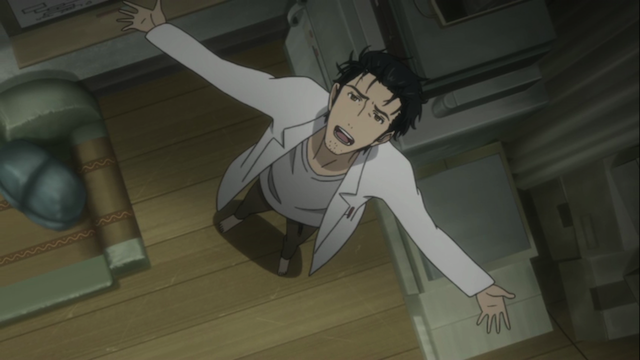 Okabe makes a painful decision, and we say goodbye to a cast member. NOTE: due to the nature of the episode, this review contains more spoilers than usual. Okabe finally admits to himself, and Kurisu, about his feelings for her. 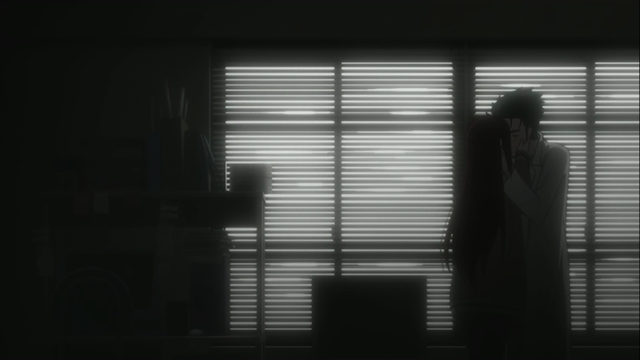 Okabe realizes precisely what he is about to lose, but acknowledges that he can’t save Kurisu. Instead he confesses that he loves her, and the couple spend a final afternoon together, before the D-mail that changed the world-line is deleted from SERN’s computer. Kurisu understands that she is sacrificing herself to save Mayuri, but she obviously feels even more importantly that she is saving Okabe. 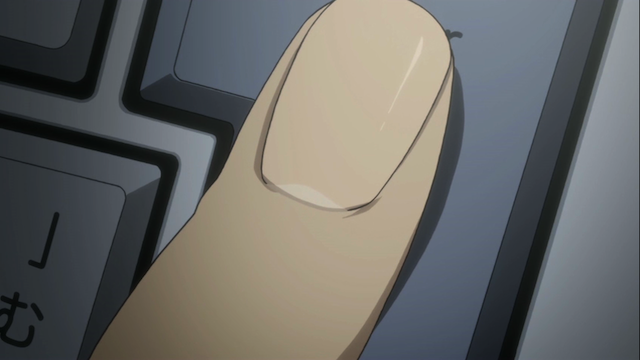 Okabe pushes the delete button on Kurisu's life. Okabe has achieved what he could only have dreamed. He has transformed the world in many ways, and yet there is no true joy in his victory, as he paid a terrible price. To make matters worse, a mysterious phone call (after the ending credits) suggest that his return to the Beta world-line hasn’t ended the problems that he must face. And now he must face them without the help of Lab Member 004. So….will there be more episodes? like next tuesday or something? or they’re just gonna end this up ? I think this is planned for 24 episodes, so we should see two more eps.